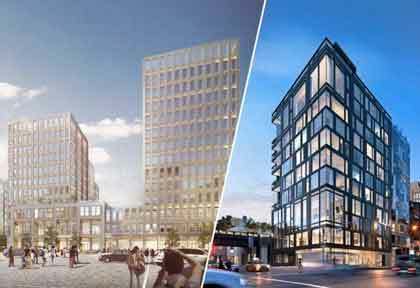 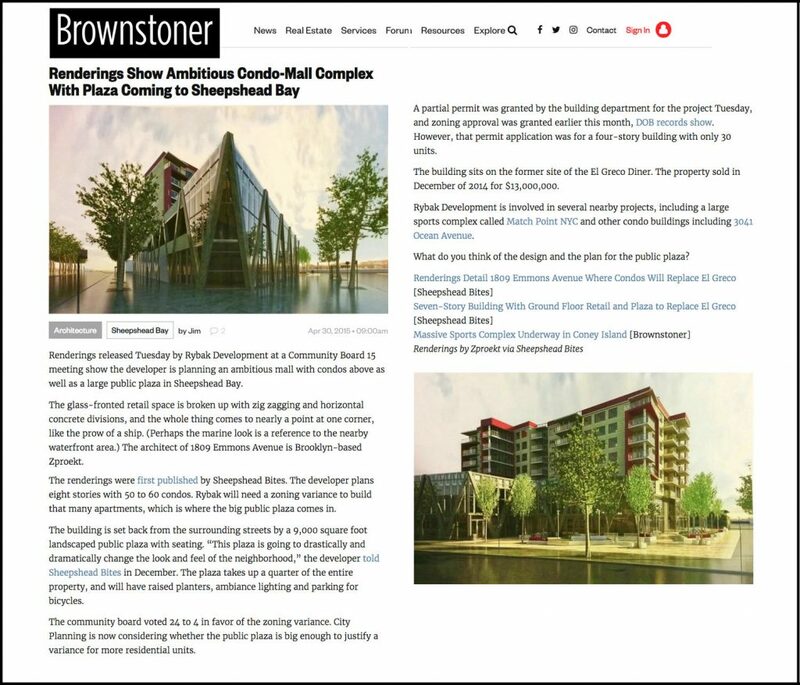 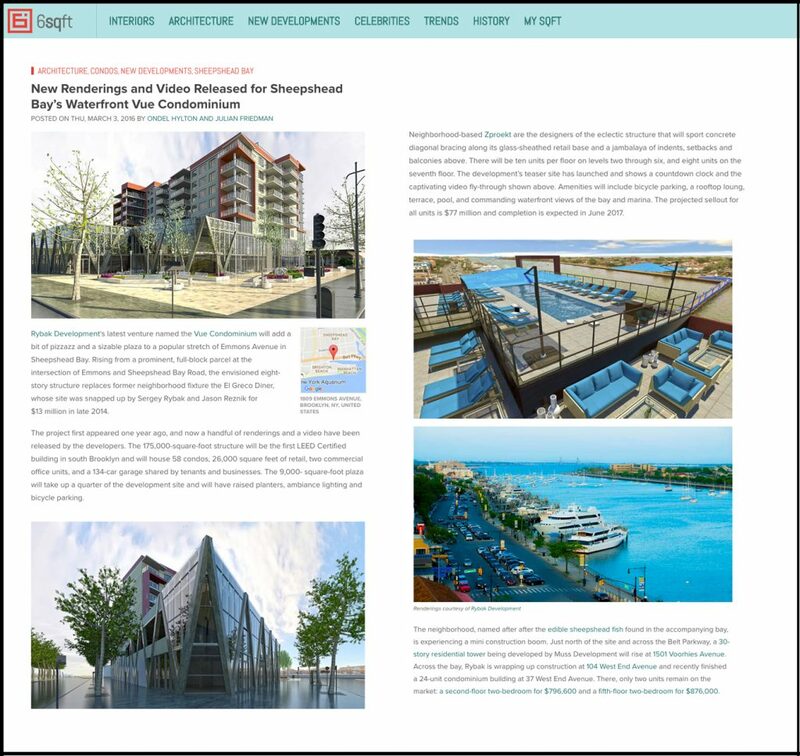 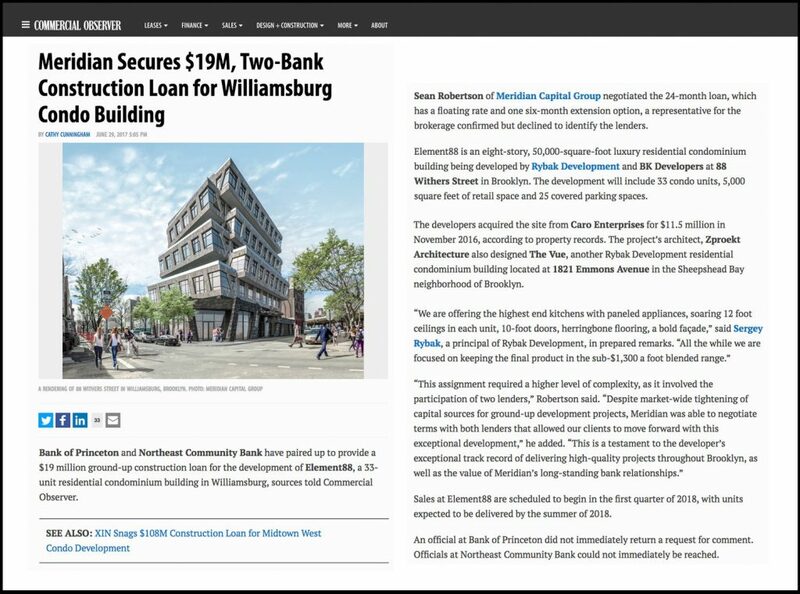 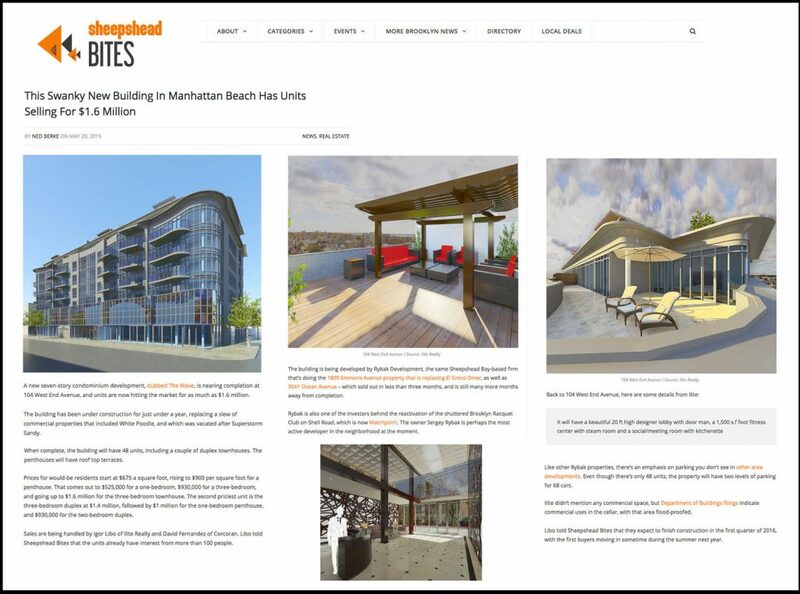 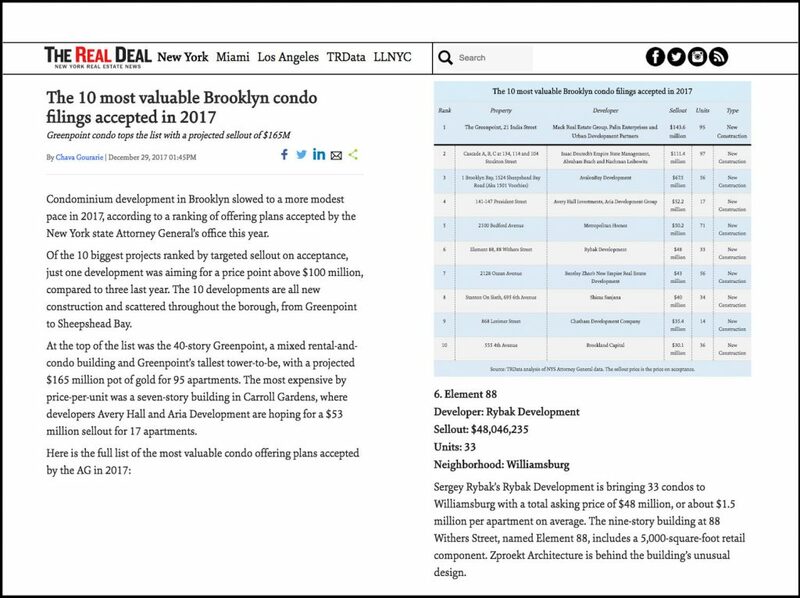 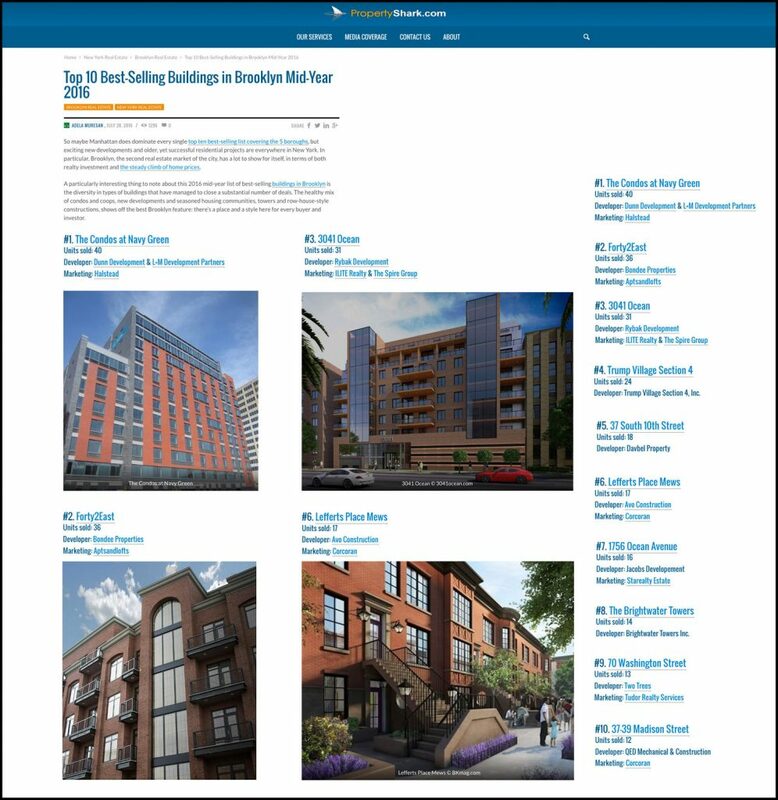 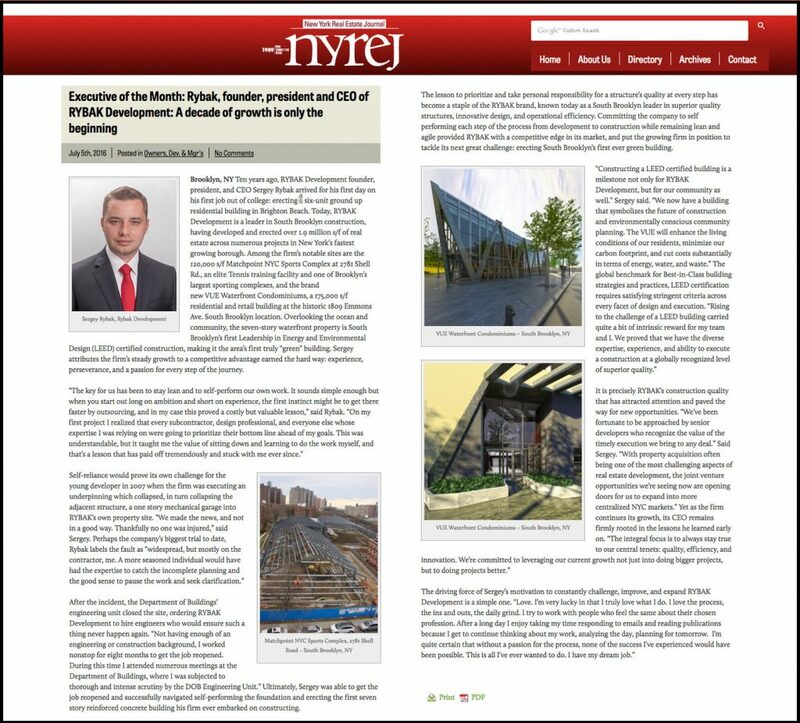 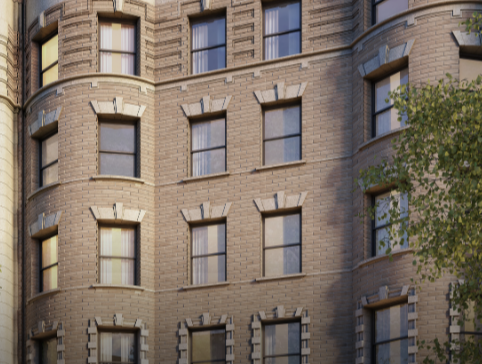 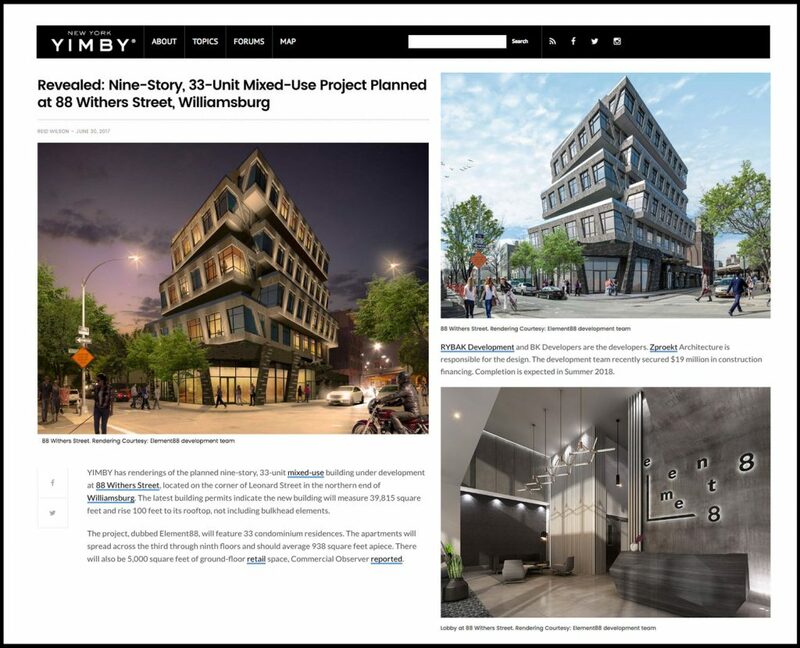 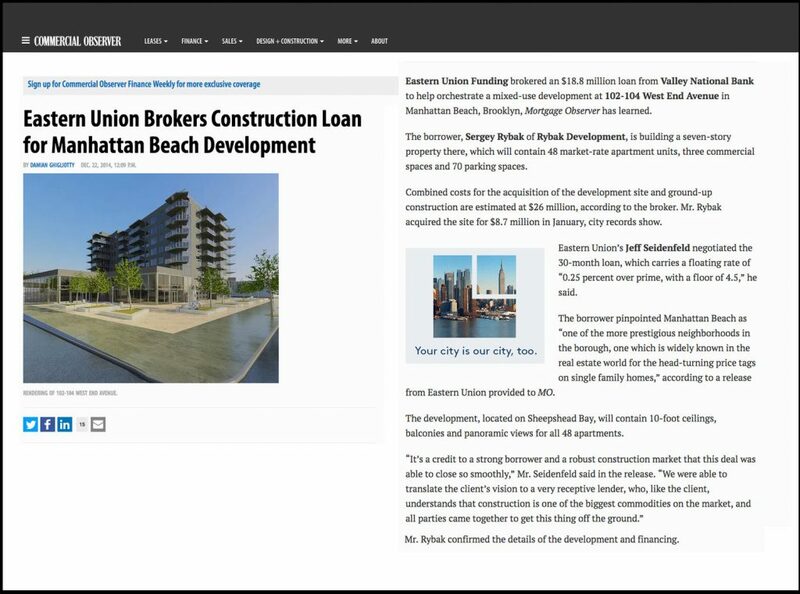 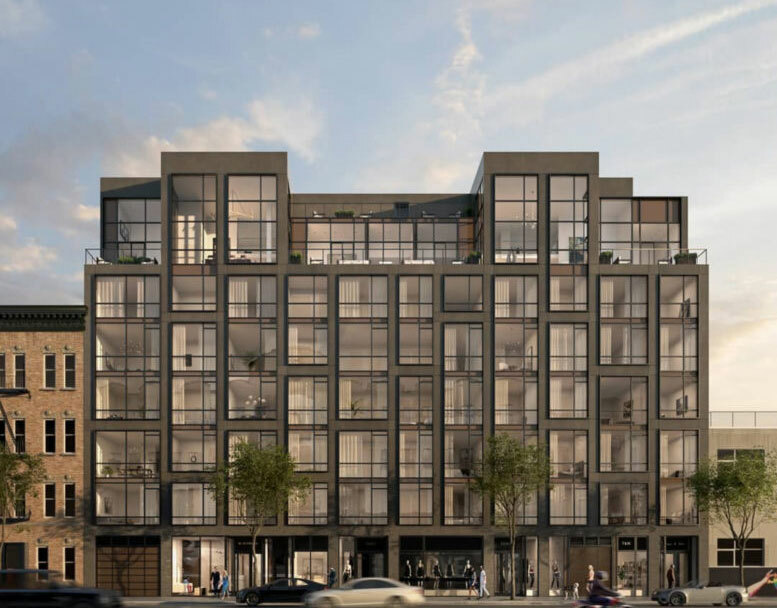 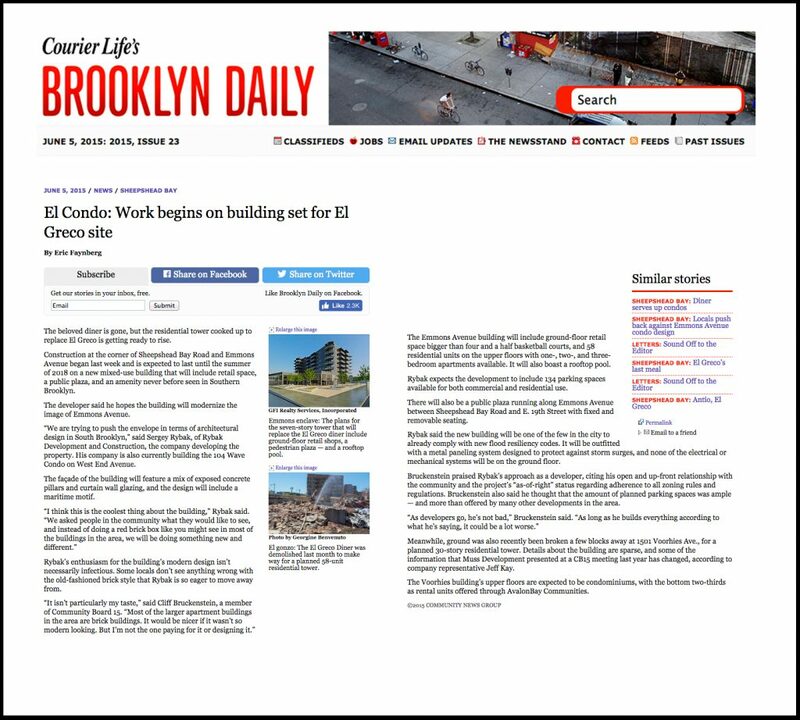 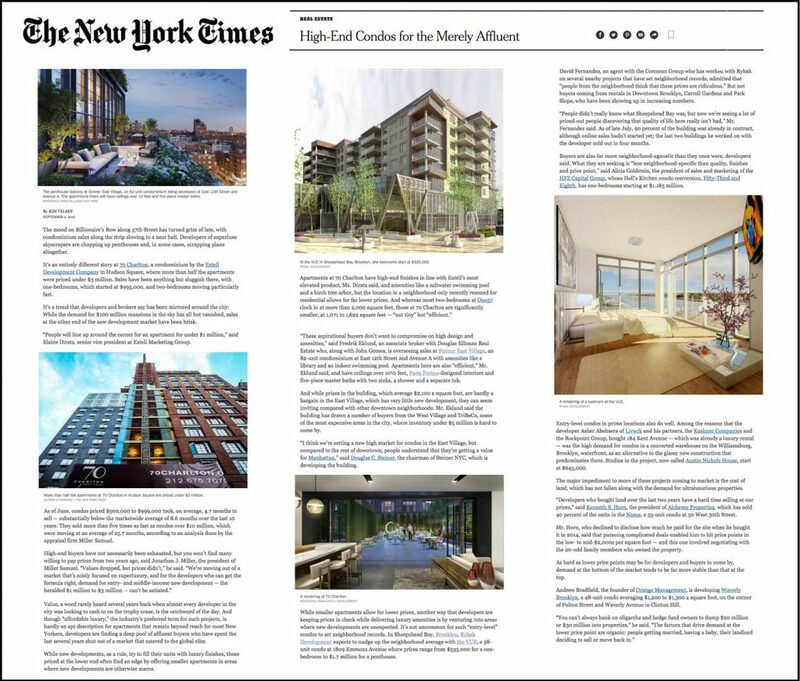 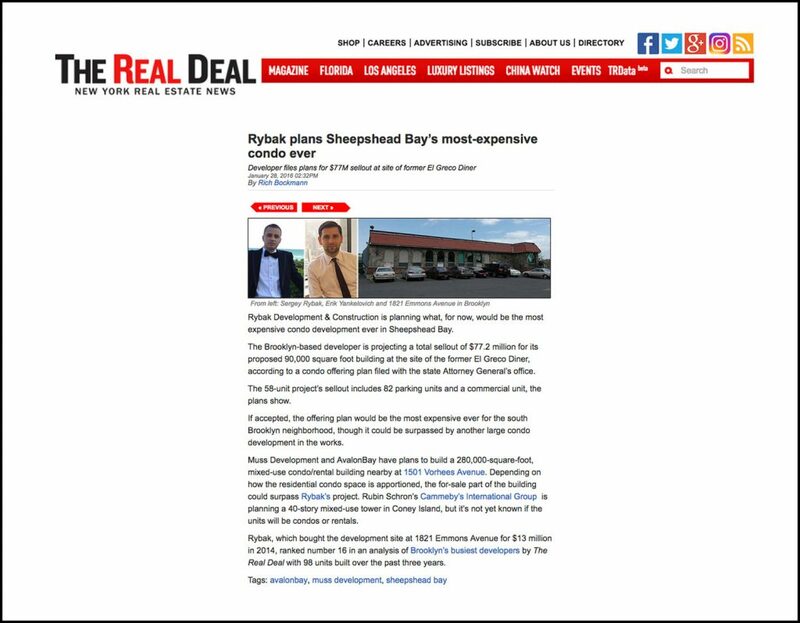 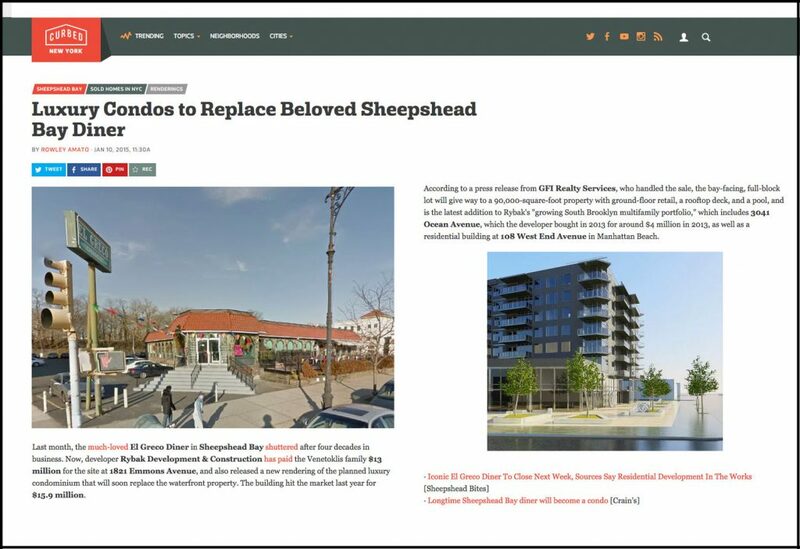 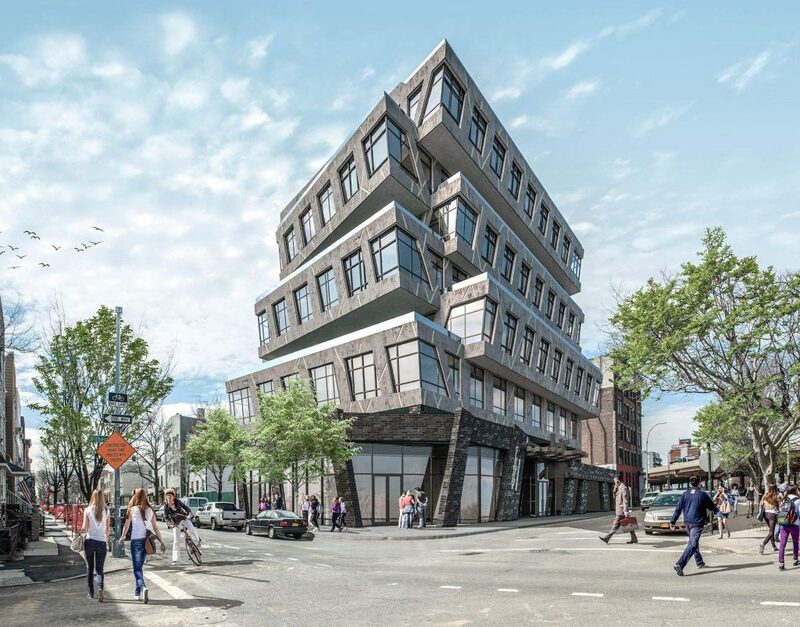 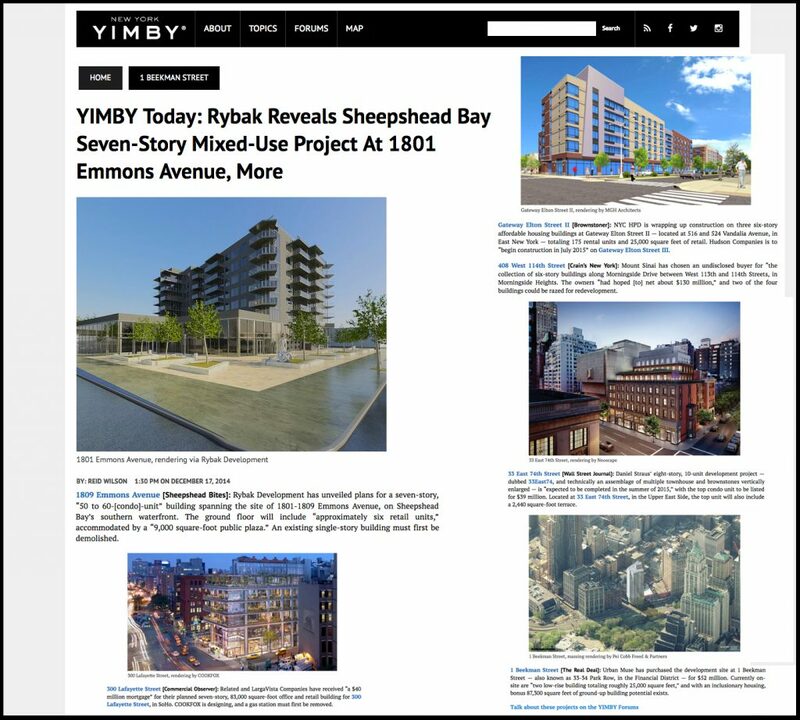 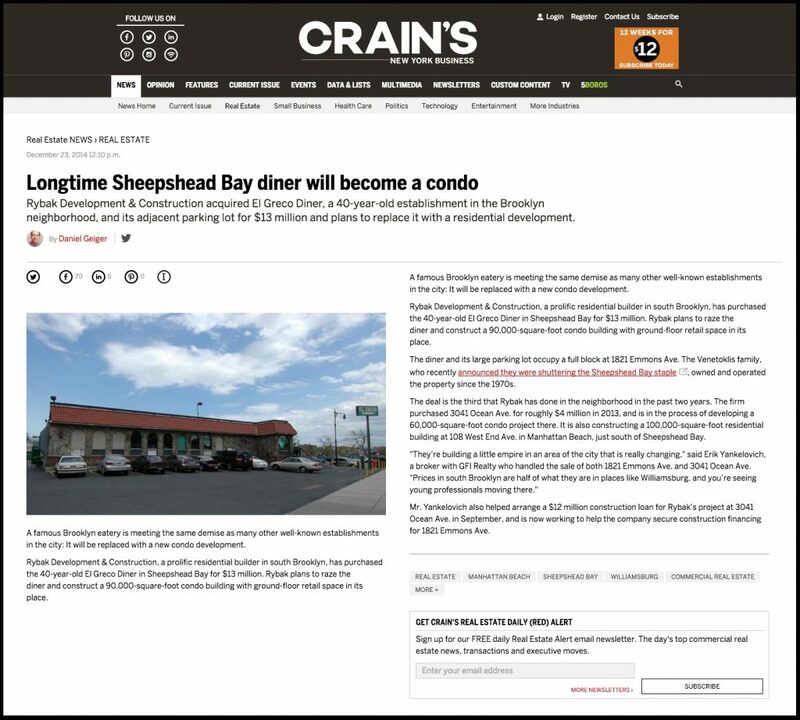 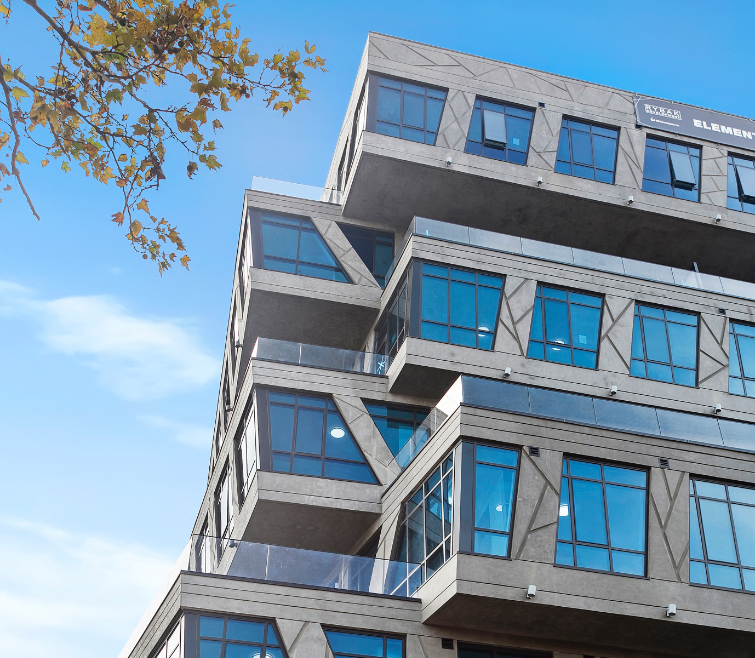 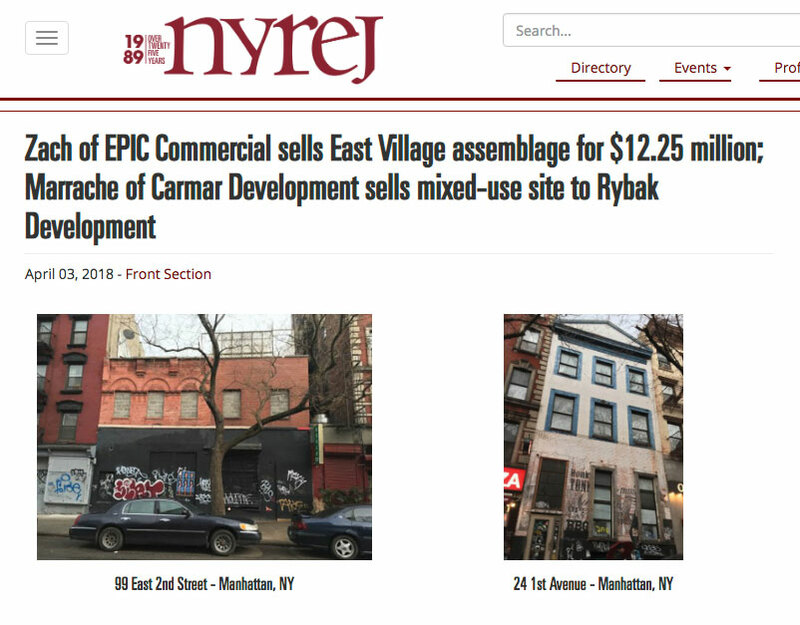 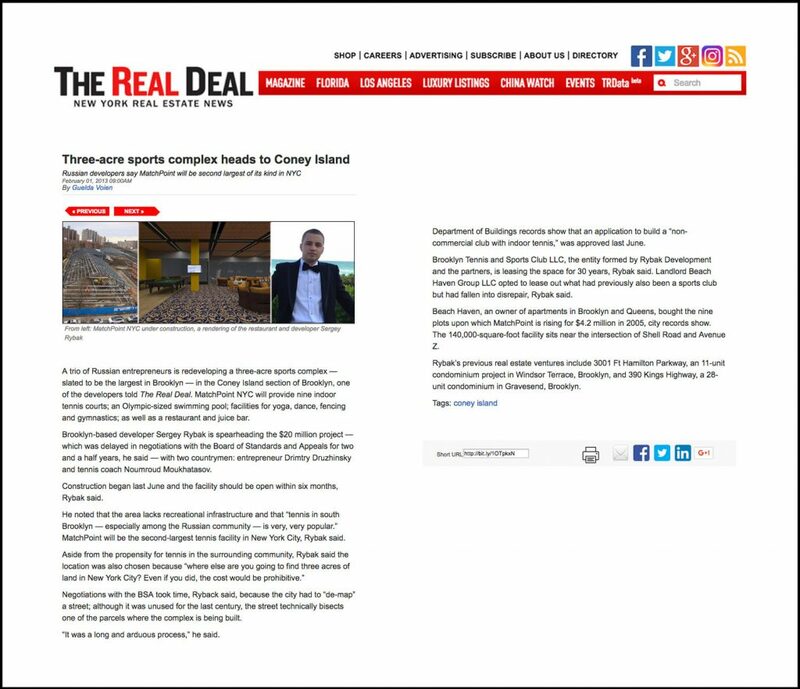 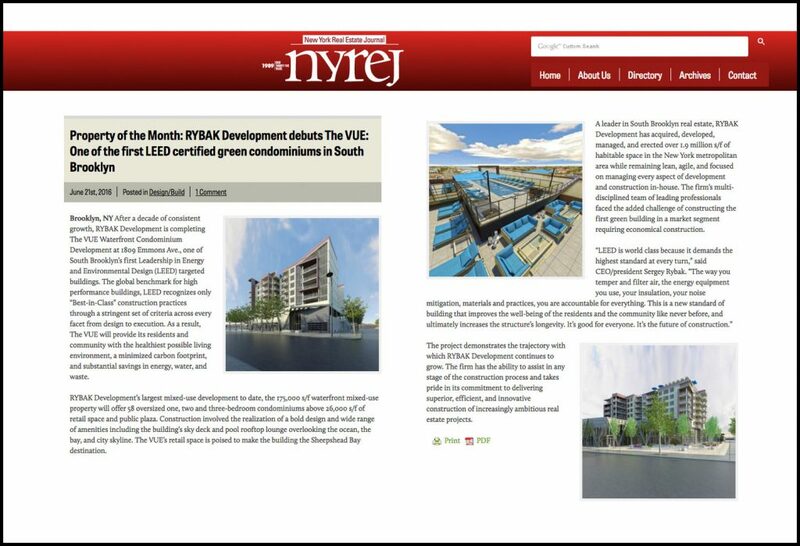 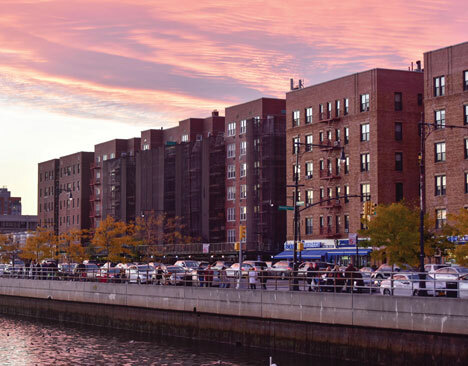 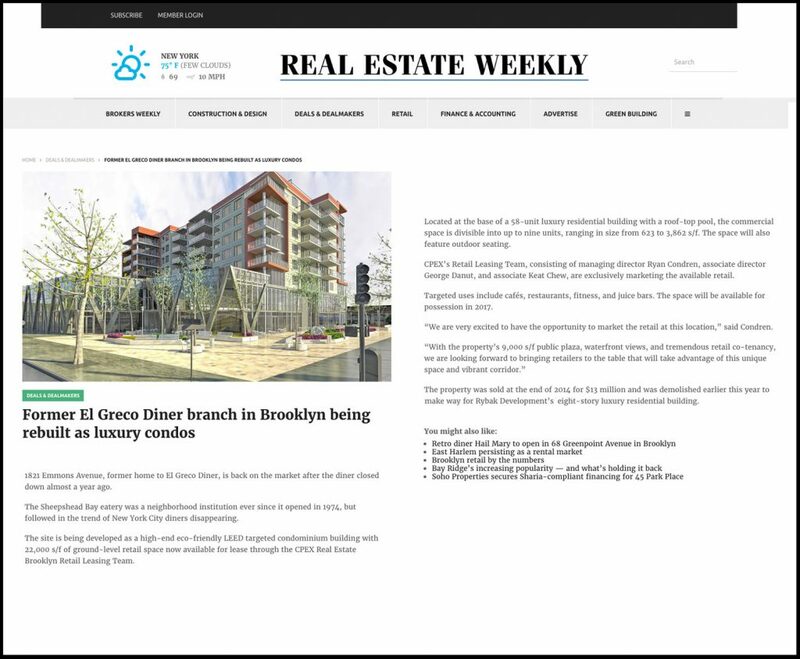 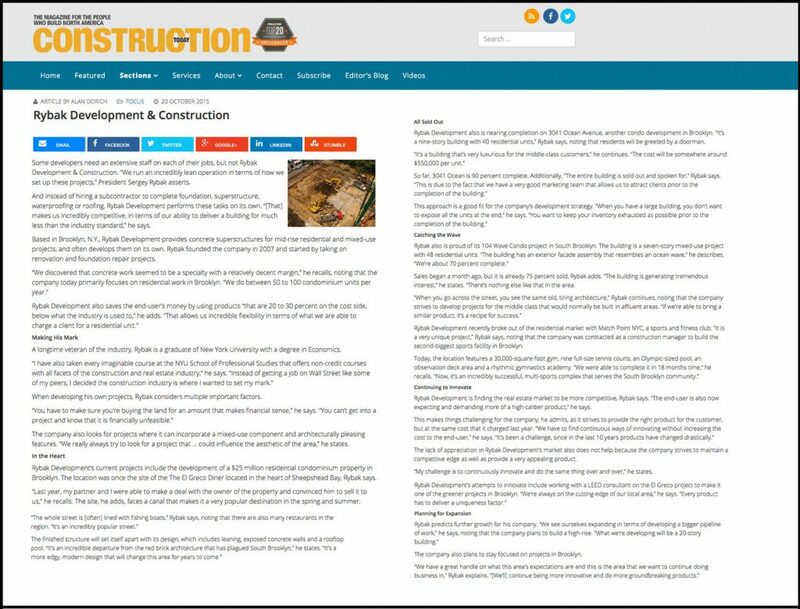 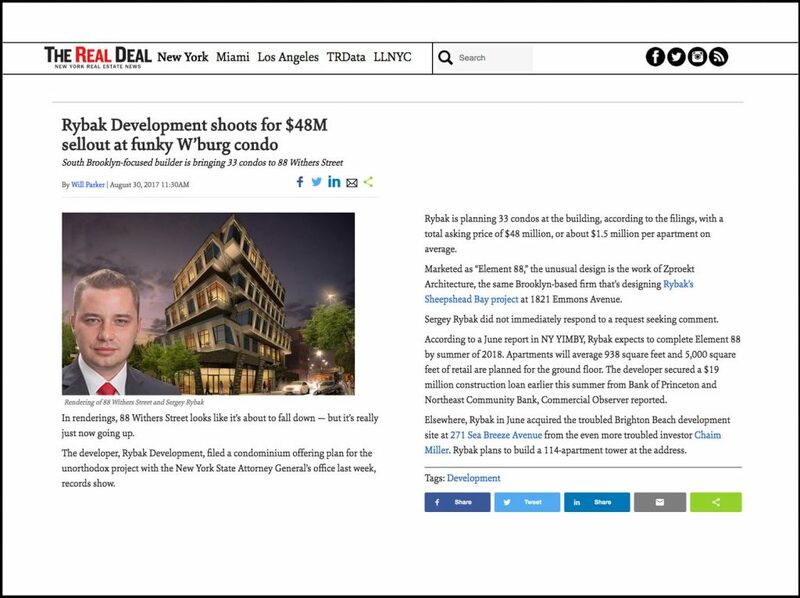 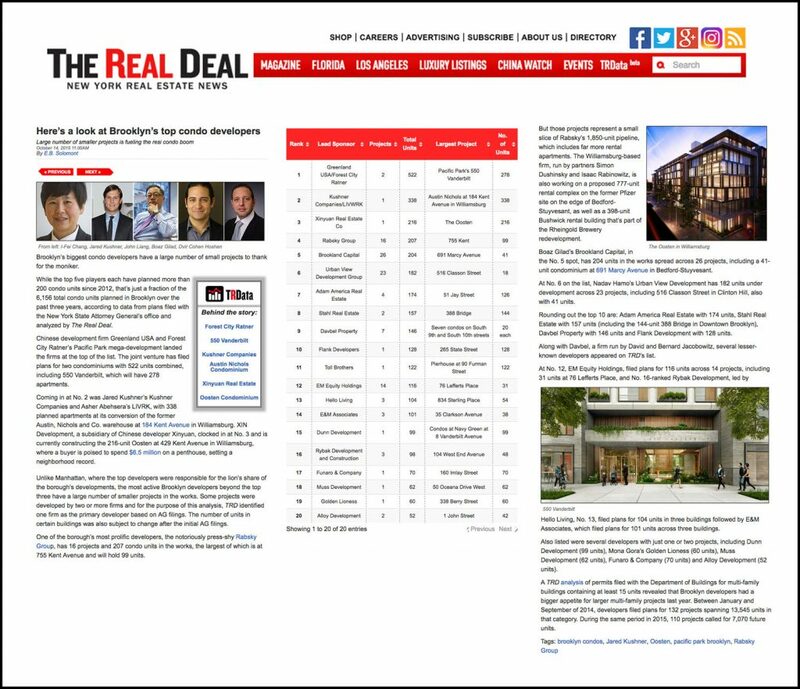 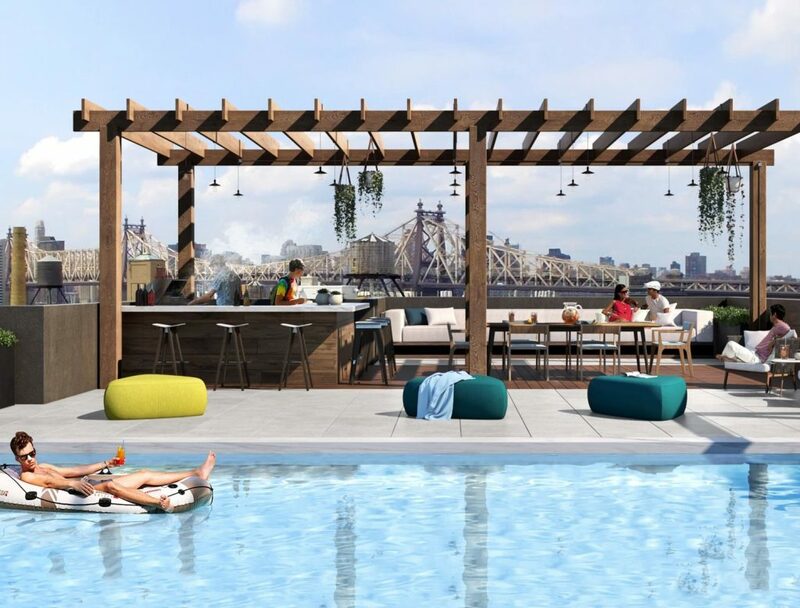 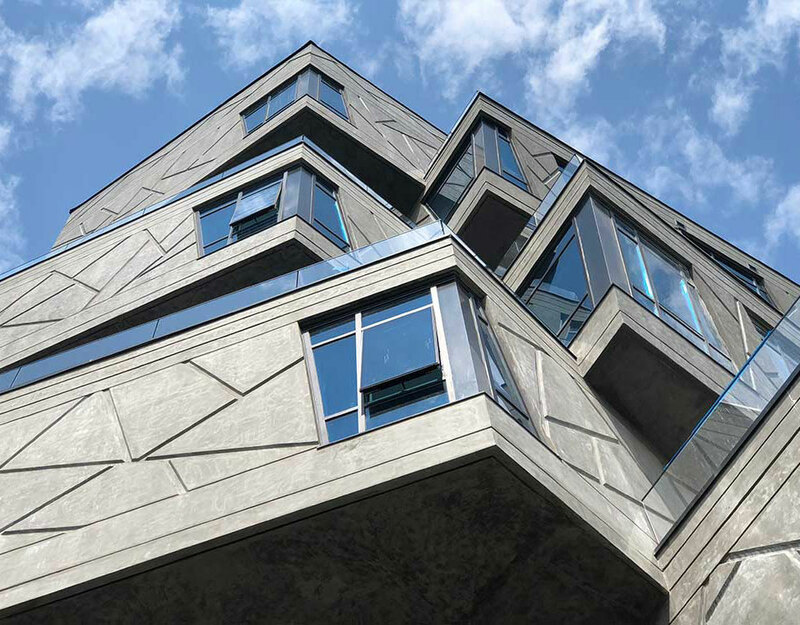 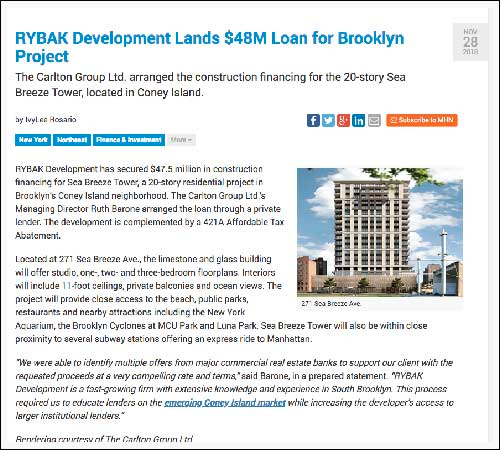 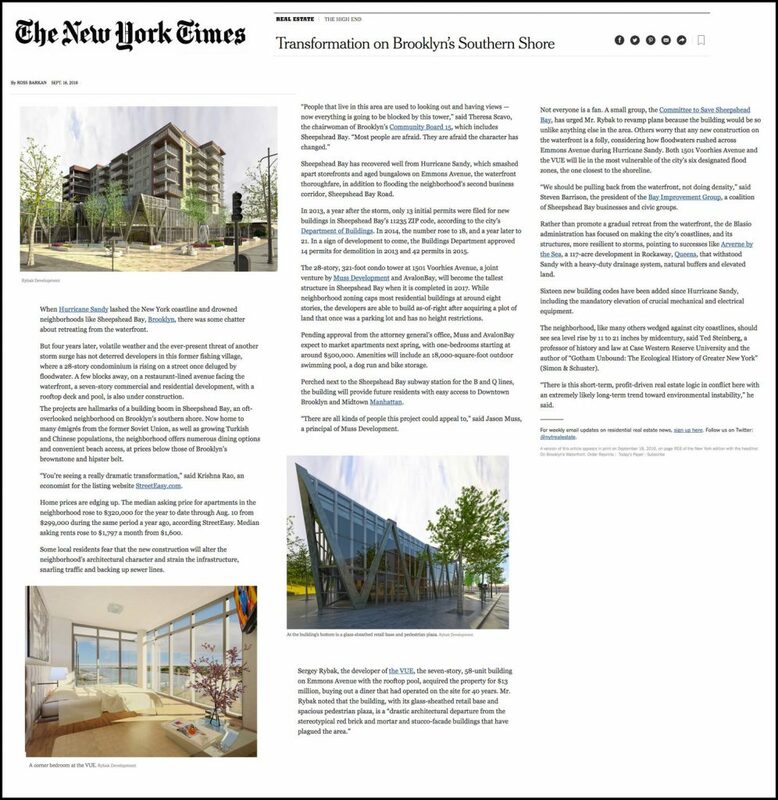 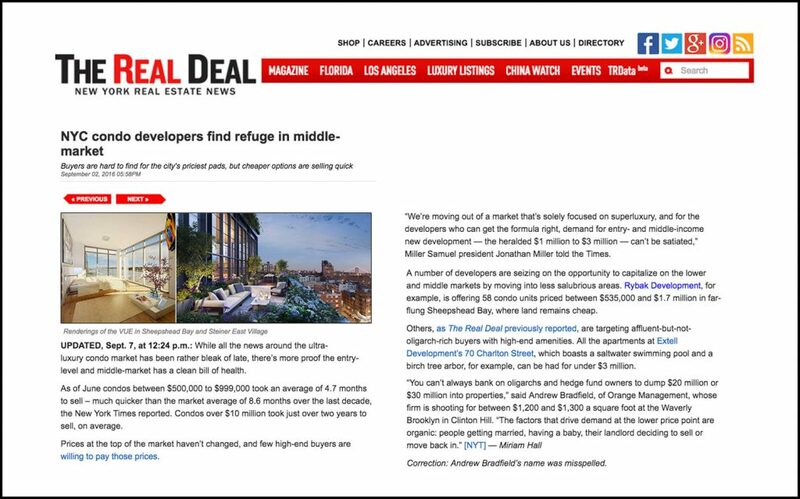 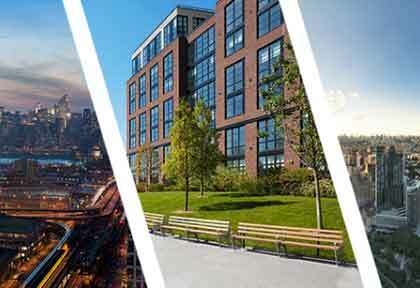 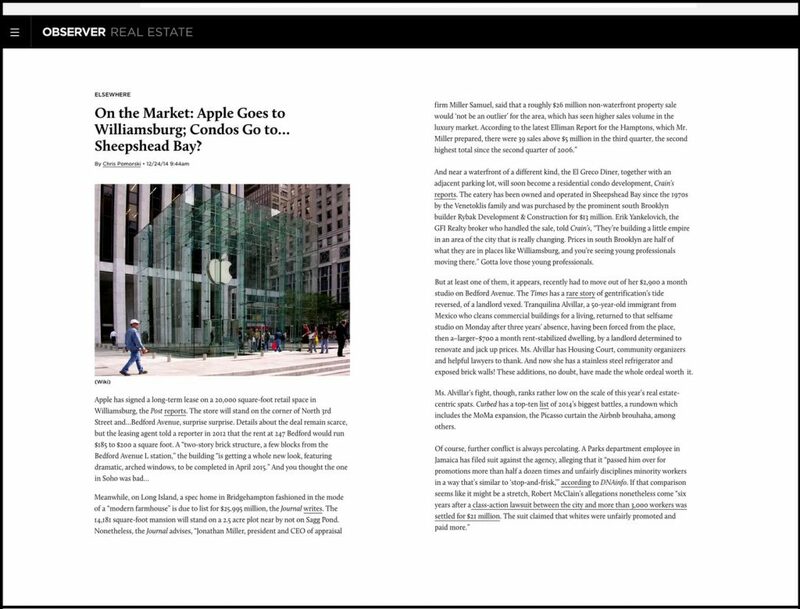 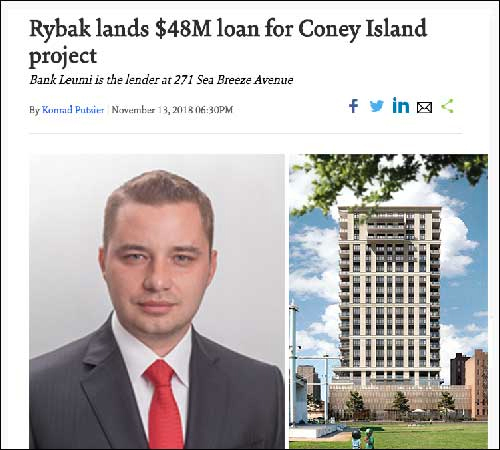 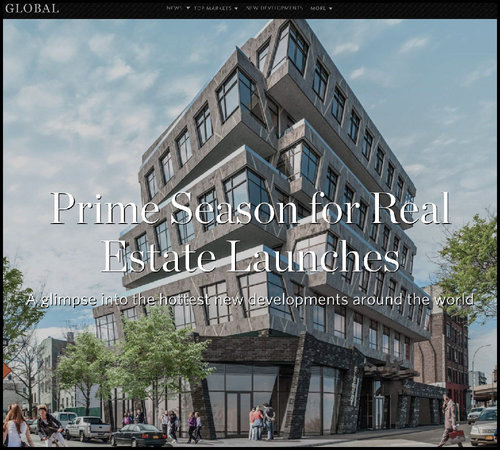 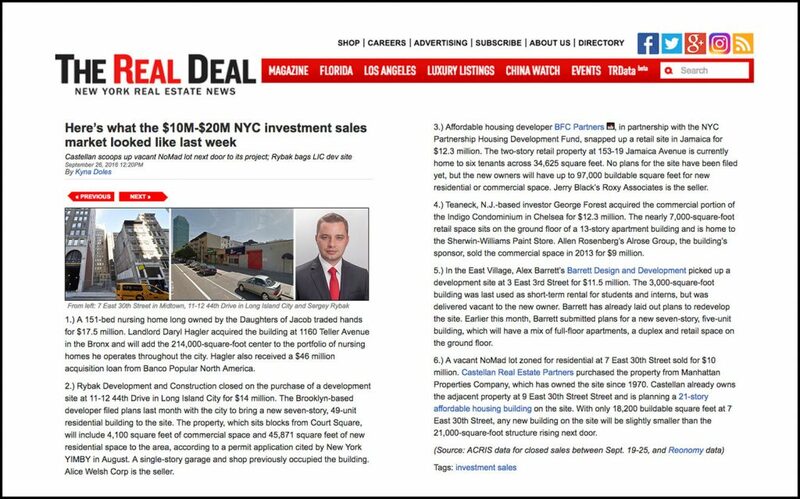 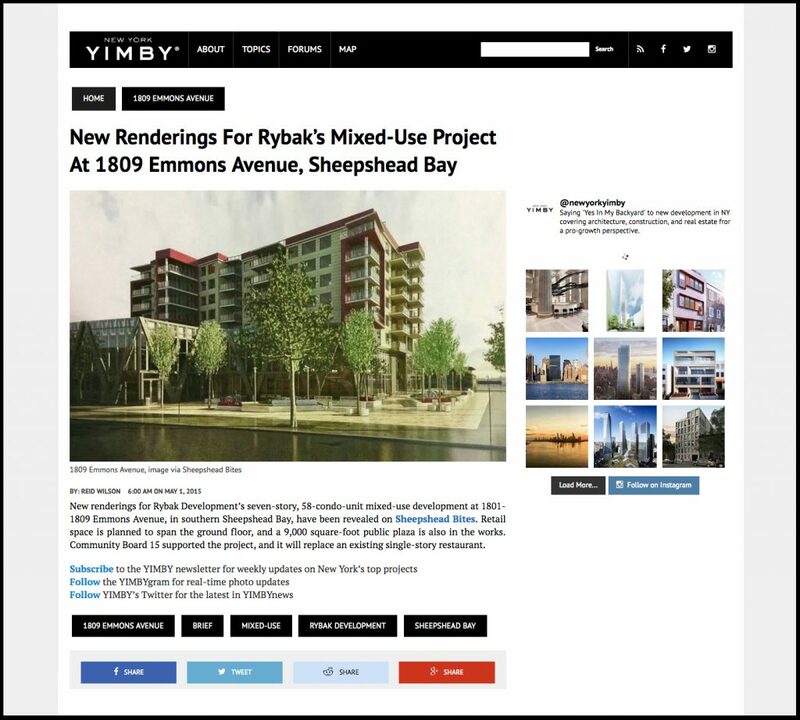 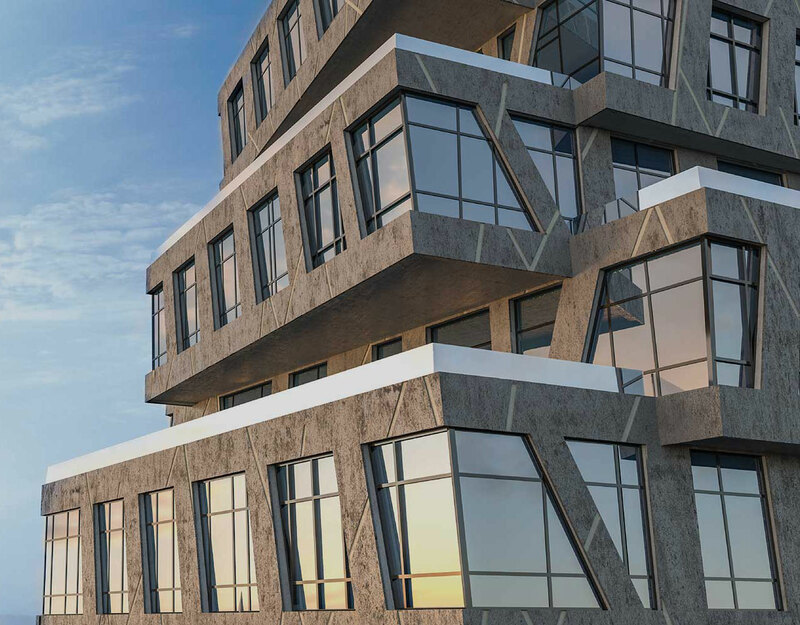 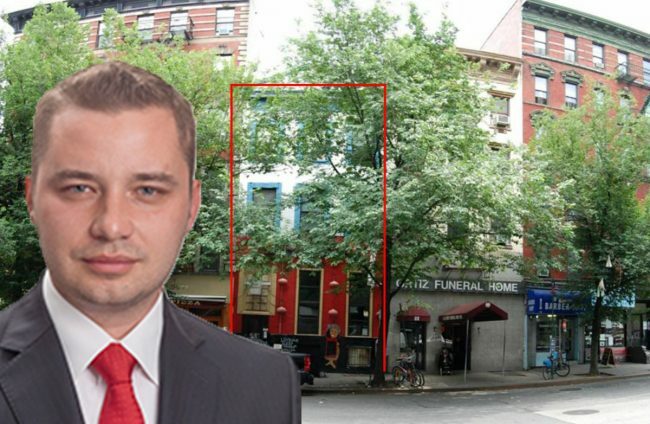 Recognized as one of the busiest development firms in brooklyn, and for their neighborhood game-changing projects; Rybak Development has no shortage of recent media attention. 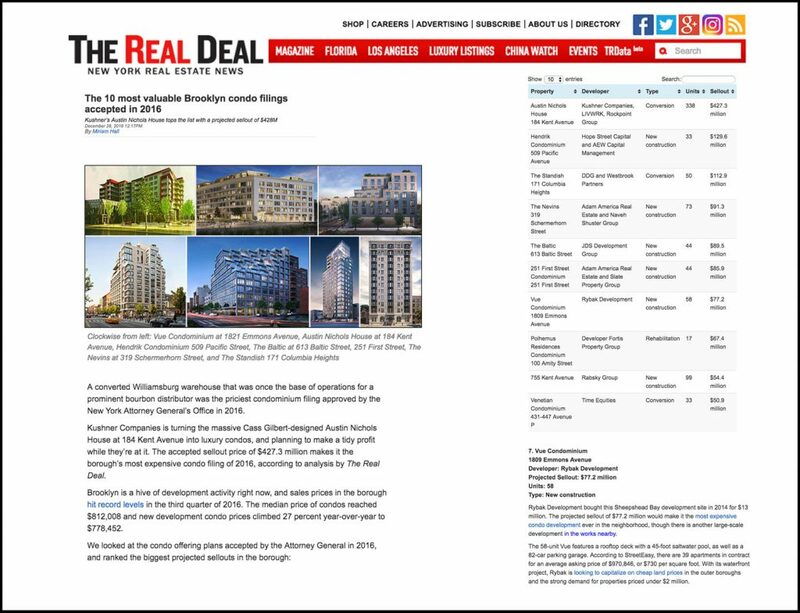 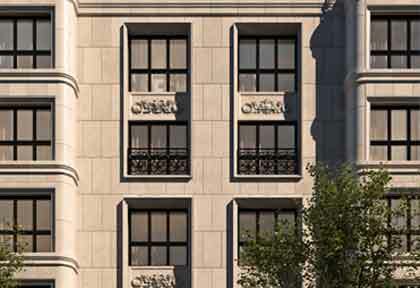 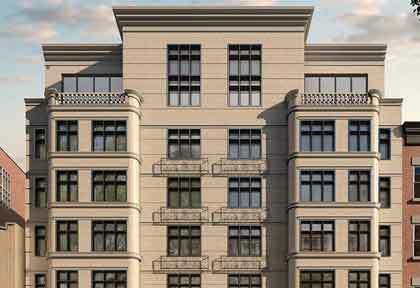 RYBAK DEVELOPMENT NAMED ONE OF THE BEST SMALL-TO-MEDIUM CONDOMINIUM AND APARTMENT DEVELOPERS IN NEW YORK CITY. 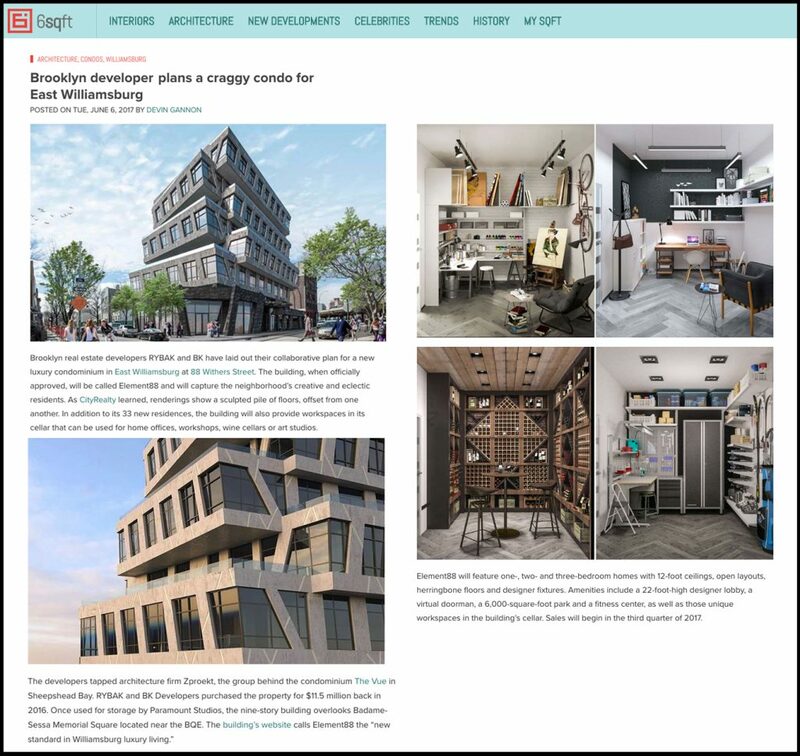 ELEMENT 88 RECEIVES DESIGN RECOGNITION.